The “Final Five” gymnastics dream team was down one during the MTV Video Music Awards at Madison Square Garden in New York on Sunday night. 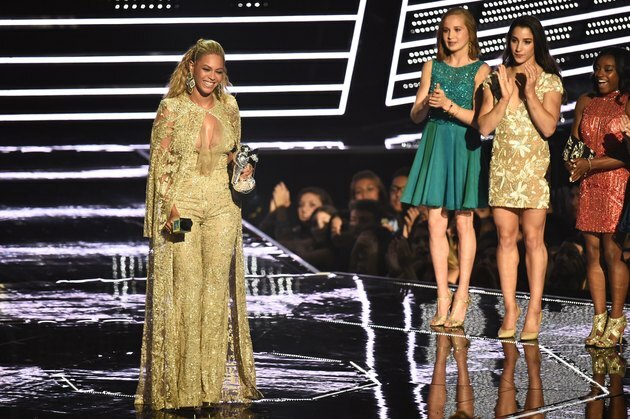 Set to present megastar Beyoncé with the female video award during the program, gymnastics gold medalists Simone Biles, Laurie Hernandez, Madison Kocian and Aly Raisman, who dominated the 2016 Rio Games, were missing their teammate Gabby Douglas who was hospitalized. The Olympic champions took to social media to celebrate their night of fun, with Raisman posting a note to Instagram with a photo of the four, wishing her teammate well. Read More: How Healthy Are the Snacks Kim Kardashian Feeds North? MTV celebrated the athletes in Twitter posts and a short video. What do I have to do for a Beyoncé hug??? Little music vid with the girls last night😉 thanks MTV! And shared why Beyoncé is QUEEN! Her VMA performance was over 16 minutes of uninterrupted, undiluted female ferocity. Douglas suffered from criticism during the Olympics for not putting her hand over her heart during the U.S. national anthem and for not appearing supportive enough when in the stands watching her teammates Biles and Raisman compete in the all-around individual, which she did not qualify for. Her mom finally took a stand against cyber-bulling Douglas was enduring while at the games. “Gabrielle’s had her heart broken,” Natalie Hawkins said in an interview with Reuters in mid-August. "You name it and she got trampled. What did she ever do to anyone?" Did you watch the MTV VMA Awards? 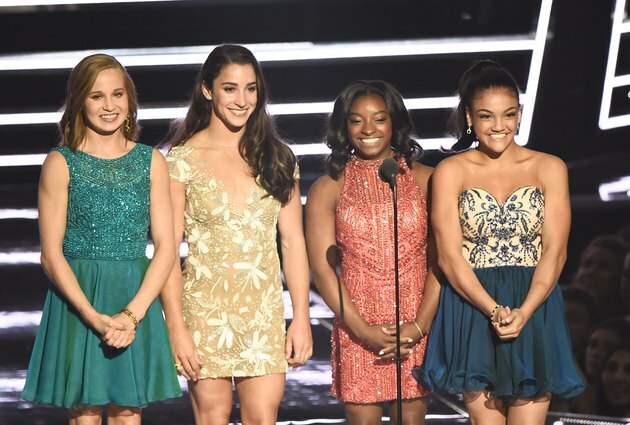 What did you think of the Final Five's appearance? What did you think of Douglas's treatment during the Olympic Games? Tell us in the comments!